This week’s Collector’s Corner features a special guest, Jahndra from MyXpressions! On Collector’s Corner this week we’ll be chatting with our friend Jahndra who not only is a long time PANDORA Collector, she also hosts the excellent blog MyXpressions! Much of her beautiful collection can be seen on her Instagram account @my.xpressions. Jahndra, thank you so much for visiting and chatting with us at Collector’s Corner. 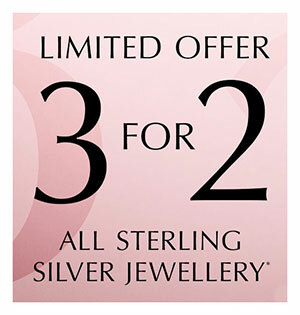 We know you are a huge jewellery fan, but how long have you been collecting PANDORA? Since 2008 or 2009 I believe. What was it exactly that made you first fall in love with PANDORA? I think it was that there were so many charms to fit any personality or memory. There was a charm for every occasion! That’s so true, there does seem to be a charm for everything! 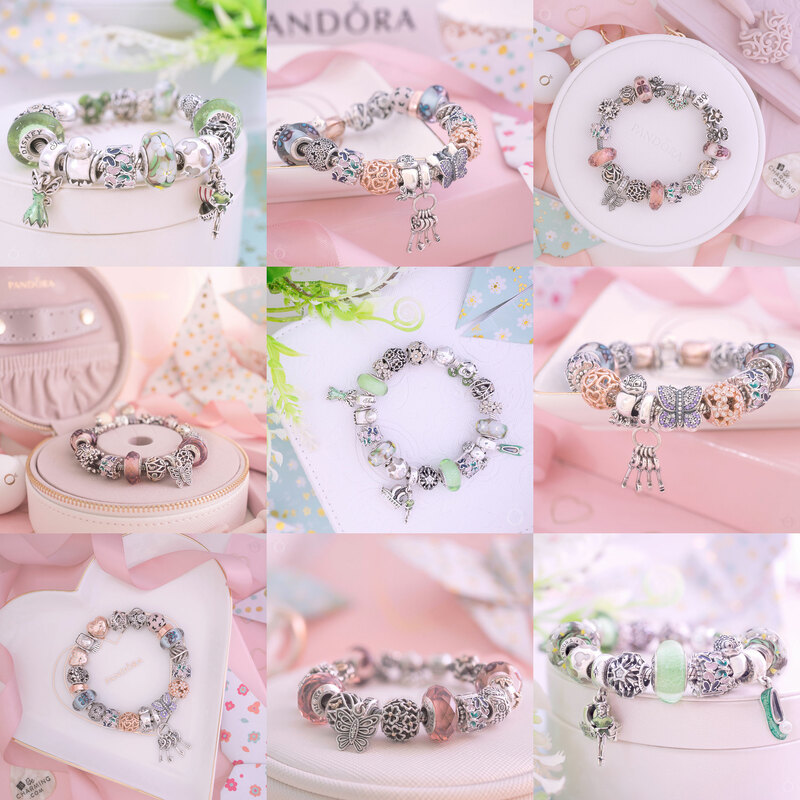 I wonder how many different charms PANDORA have produced over the years and if it has passed a thousand yet. Can you tell us a little about your PANDORA collection? Sure, I have about 11 completed bracelets, and 5 works in progress, I tend to focus on older, soon to be retired items rather than what’s new because if there is something that I’ve had my eye on for awhile I know there is a danger that that item may be retired versus the new collections that just came out. 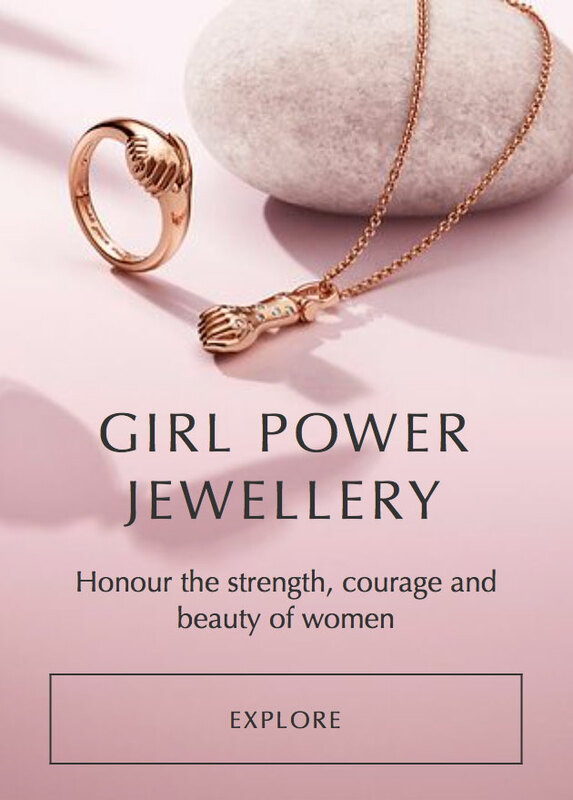 The bulk of my PANDORA jewellery is obviously charms and bracelets, but I believe that the next biggest category are my rings, then necklaces and lastly earrings. As for gold, I only have 5 charms I think. Hmm, might be time to get extra ring storage somehow. Wow! That sounds an incredible collection! I am on the look out for lots of retired charms too. Amongst your collection, do you have any rare, or hard to find pieces? It depends on what you consider rare or hard to find LOL, but yes I may have a couple of pieces. I don’t know if this necklace ever had a name but it’s a blue pearl and chalcedony lariat, and I have another necklace and one of the brooches. I believe it’s supposed to match the Nature’s Serenity ring. (If you would like photos I can supply them). New #youtube video up featuring my entire #pandora pendants and necklaces! Link in bio! The blue pearl is so elegant! And from looking at your collection it seems to be your favourite colour too. What is your favourite piece of PANDORA jewellery? I think my all time favorite is my gold Starlight charm… I have two of them and the one my husband gave my I hardly ever take out as I don’t want it to get scratched. The other one I bought preloved so it’s already scuffed up and it’s the center piece of my second star bracelet. It seems that often the charms that are gifts from loved ones become our most cherished. 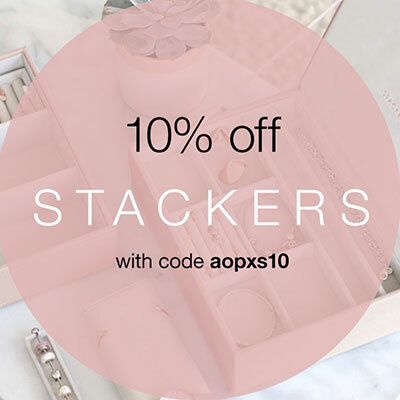 As a reader of your blog I think I already know the answer to this question… Do you make up bracelets one by one, or do you keep your charms and bracelets separate and make up bracelets for any occasion? No, I keep my bracelets intact for the most part. I like them just the way the are. I do have some mini sets that I wear, they are mostly based on colors and those sets I do change up from time to time, mainly as the seasons or holidays come around. This is how I ended up styling the bracelet, pretty happy with how it came out! Wearing my #pandora teals again, trying to keep those beach vibes alive 🏖 ! Also stopping by the store to finally check out the spring collection! And maybe work on my wish list for the upcoming promo! I’m the complete opposite! I barely ever have a bracelet made up for longer than a week! 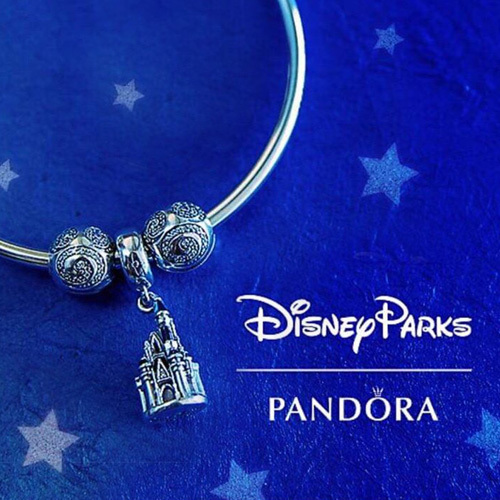 Do you have any special PANDORA promotional items in your collection? I have a heart shaped ring holder, the green leather travel case, the mother’s day white jewellery box, and the older silver gray travel case. Looking for some hard to find or retired charms? Drop by the blog to find a list of #Pandora outlet stores! Nice! 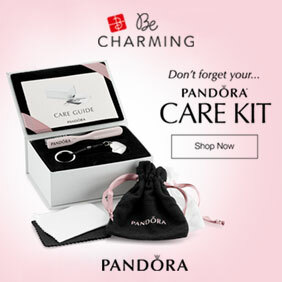 There are some quirky PANDORA promotional items out there. The other day I was tempted by a set of PANDORA greeting cards in a pretty presentation tin. Can you tell us what is still on your wishlist? Way too much LOL! I have mostly a lot of rings, earrings, and necklaces, as I’ve managed to work the charms down. However I still haven’t added anything from the new Autumn collection so my wish list is going to get just a little bigger! I am usually a collection behind, and I am still trying to get my hands on the Dreamcatcher Charm and the new Feather Pendant. There were some gorgeous charms in the Summer Collection. How do you feel about the overall direction PANDORA is taking in 2018? Not sure… on one hand I really miss the old style of PANDORA, the real gemstones, the two tone charms, the original designs. 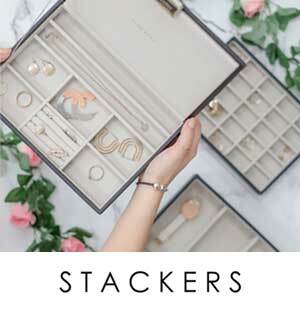 On the other hand I realize they are a business and they need to evolve as their client base evolves and although I’m not enjoying their plated jewellery I do like the way they are designing their rings, earrings, and necklaces. 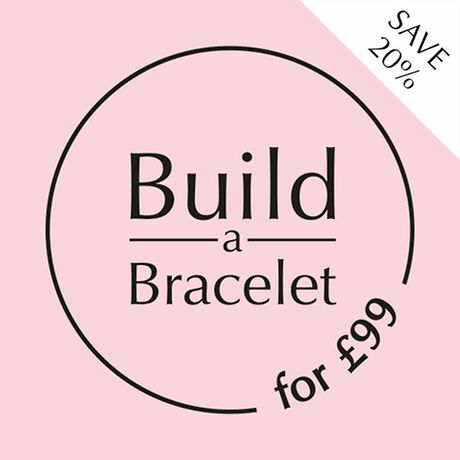 If you haven’t already seen what I got from Pandora’s free bracelet promo, go to my blog to READ all about it! That’s right, you read that right, READ! No video post but an actual blog post!! You’ll also get to read my rant about Pandora’s now defunct app. Link in bio! I completely agree about the real gemstones. Plus the old style two tone charms had so much character. So, what would you like to see from PANDORA in the future? Edgier more rock and roll styles!! More jewel tone colors!! Not all girls like pink and purple and pastels and hearts (and mind you I’m a super girly girl who loves hearts) but even I’m bored of the same color palate and hearts. If you collected PANDORA Disney, which character would you like to see in the future? I actually don’t collect Disney because I just can’t afford it all!! But if I did I would love Mulan to come out. She wasn’t a princess but she stood up for herself and her family and fought alongside the men!! Mulan is my favorite Disney movie! My non-charm #Pandora stack today. Well mostly non-charm LOL. Mulan is a good choice! I can sympathise on why you have decided not to collect the PANDORA Disney jewellery. Disney is slowly taking over my PANDORA Collection, one charm at a time! So Jahndra, what did you think of the Autumn 2018 collection, did you get anything? The only items I truly loved were the Limited Edition Floating Grains. I practically adore the entire set!! The only downside is that it’s plated, and I’m heavily considering breaking my own rule and buying PANDORA Shine for the sake of that set! There are a couple of bracelets and earrings that caught my eye as well. The PANDORA Shine Floating Grains pieces are stunning. I had the pendant on my wish list but then it was pushed down the list by the Disney charms! Jahndra, thank you so much for chatting with us and showing us your collection, it has been a real pleasure! Readers, make sure to follow the charming Jahndra’s Instagram @my.xpressions and blog MyXpressions!